In House District 104, Democrat Brandon Lofton has $95,500 cash-on-hand to first-term Republican incumbent Andy Dulin's $50,900. The 104th is a dense wedge pretty much in the south-central middle of Mecklenburg County. Democrat Brandon Lofton first came to our attention back on January 14 of this year as one of the potential stars of this cycle (full disclosure: I'm a contributor to his campaign). Lofton is a lawyer and a partner at Robinson Bradshaw, concentrating on public finance. Quoting from the Robinson Bradshaw website: "He regularly serves as bond counsel, underwriter's counsel, borrower's counsel and bank counsel for tax-exempt and taxable financings. Brandon represents municipalities, counties, hospitals, universities, nonprofits and underwriters in the financing and refinancing of capital improvements. He also represents clients in a variety of public finance transactions, including general obligation bonds, revenue bonds, installment financings and limited obligation bonds." Lofton graduated from Chapel Hill with his bachelor's in 2001 and then earned his law degree at New York University in 2004, trailing service awards and academic honors along the way. Lofton was honored by his law school as the featured representative and speaker for the class of 2004. He described "his childhood dream of being a lawyer, explaining how he wanted to be a source of positive social change and to emulate legal heroes such as Thurgood Marshall." He's got volunteers door-knocking for him and volunteers calling for more volunteers to door-knock. That's what we light to see! 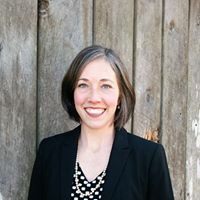 In House District 23 (Alamance County), Democrat Erica McAdoo is up over Republican incumbent Stephen Ross, a member of House leadership seeking his fourth term, $58,700 to Ross's $20,300. Democrat Erica McAdoo was also written up on WataugaWatch on January 14. Love seeing this in her Twitter feed today: "Last weekend's stats: 951 doors knocked, 60+ volunteers. Join us as we canvass again this weekend on July 22nd." And I applaud this stand on redistricting: "It's time for creation of an independent redistricting commission!" 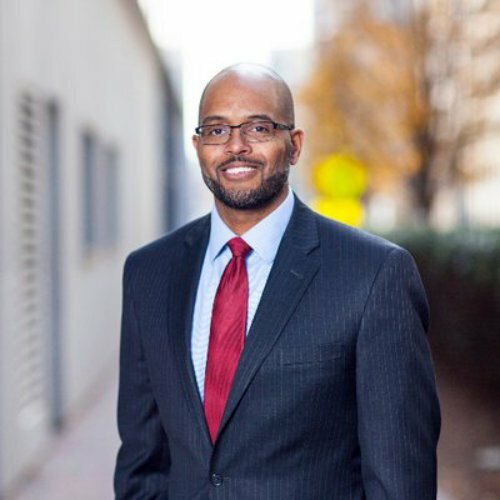 McAdoo is the firm manager for The Paynter Law Firm in Hillsborough and teaches at Guilford College and Meredith College (while simultaneously working on an MBA at ECU). She earned a Master's of Music from Appalachian State, a paralegal certificate from Meredith, and a B.S. in piano from Campbell University. According to the Paynter website, McAdoo previously "worked in the legal industry as a litigation paralegal where she was frequently responsible for legal research, document drafting, employee training, office and file organization, client recruitment and retainment, implementation of firm-sponsored community events, identification of marketing opportunities, and development of marketing materials." In Senate District 18, Democrat Mack Paul has outraised incumbent Republican John Alexander by an astonishing $305,100 to Alexander's $36,100. District 18 takes in all of Franklin County, the northernmost tier of Wake County, and a very weird descending hook of land that invades the northern suburbs of Raleigh. Democrat Mack Paul was another of those Democrats I wrote about on January 14 who were making me "anticipate November like Christmas morning." 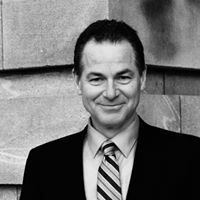 Paul is a Raleigh real-estate attorney and former Wake County Democratic Party chair. He says his campaign will focus on economic issues affecting the middle class, and he says the Republican-dominated Senate has “been focused way too much on issues that divide us.” He was a founding member of Triangle Growth Strategies and the Triangle Smart Growth Coalition, two groups that brought together homebuilders and environmentalists on growth issues. As a partner at Morningstar Law Group, he has represented big developers who were defeated in their plans by local opposition, but Paul says he does not support recent legislation backed by developers to limit local governments’ planning and zoning powers. “I feel like it’s important that our local governments have authority to implement the policies that they need because they understand the issues at the local level,” he said. I want to believe him. Back in the middle of June, he posted a Facebook ad for interns in communications, finance, and field operations. He can certainly afford to pay a big team of young people. In House District 103, Democrat Rachel Hunt is up over four-term Republican incumbent Bill Brawley $132,700 to $88,600. District 103 lies in the southeasternmost part of Mecklenburg County and hugs the Union County line. Democrat Rachel Hunt waited until the last week of filing to jump into the race, but she has plenty of Democratic juice supporting her. She is one of former Governor Jim Hunt's daughters, so she is already networked in a helpful way. Like her father, Rachel has been and will continue to be a champion for public education. She is a board member of the NC Foundation for Public School Children, and she started two companies that help parents and students, including those with disabilities, find a good school and quality education. “I’ve spent my life helping North Carolina grow into a beautiful, inspiring state that looked out for the little guy and put strong public education above everything else, but lately, that shared vision has been threatened. 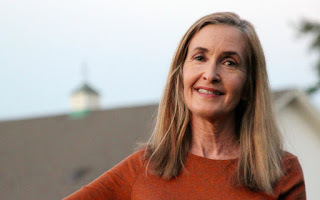 I am running because I can no longer stand back and watch this great state that my family and so many other families like ours worked so hard to build be undermined by politicians in Raleigh.” She has served as the chair of Generation Nation and the Charlotte Mecklenburg Youth Lead and Youth Councils. She trained as a lawyer. Governor Roy Cooper recently appointed her to the Education and Workforce Innovative Council. In House District 62, Martha Shafer has outraised four-term Republican incumbent John Faircloth $96,700 to $10,700. District 62 is a big wedge of Guilford County along the Forsyth County line. Democrat Martha Shafer is one of the new Democratic women running in 2018 who've been endorsed by Emily's List of North Carolina. She's a native of Charlotte but has lived in Guilford County for some 25 years. She's a retired hospital administrator, trained in health administration at Duke University, so she's particularly sharp on health-care issues: "Having spent her entire career working in healthcare, Martha knows first-hand that many North Carolina families are struggling to cover basic health needs. Unfortunately, the General Assembly has decided NOT to expand access to Medicaid to 500,000 North Carolinians who would benefit under the Affordable Care Act. Not only is this immoral, it is fiscally irresponsible. Expanding Medicaid would create 43,000 jobs by 2020, both in health care and other sectors, and the state’s economy could gain tens of billions in business revenue. Most of the cost would be paid by Federal dollars, which are currently funding expanded care in thirty-one other states that have made the rational and caring choice to expand Medicaid. Expanding Medicaid will lower the amount of charity care that hospitals provide, which will put downward pressure on insurance premiums for insured patients, making expansion a win for everyone." 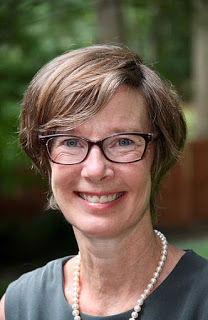 https://marthashafer.com/ Shafer also highlights the shabby way public education has been treated since a Republican super-majority took over in Raleigh: "Public education is not being adequately funded; per pupil spending is down since 2008, putting us as one of the states that spends the least per student in the country. Laws that directly affect our children in the classroom are rushed through without open debate and fair hearings, leading to bad decisions." In Senate District 17, Democrat Sam Searcy looks to be overpowering three-term incumbent Republican Tamara Barringer, $373,500 to $48,800. Senate District 17 takes in the biggest chunk of southern Wake County including Cary, Fuquay-Varina, and Holly Springs. Democrat Sam Searcy has a law degree, but he's gotten people's attention through his entrepreneurial activities. In 2016 Searcy teamed up with some of his previous business partners and a new guy with an old-world recipe for long-grain rice distilled vodka, and they formed Graybeard Distillery in Durham, which now touts its success as "the largest grain-to-glass distillery in North Carolina." Searcy's life story to get to that success was no bed of roses. “I’ve seen first-hand what happens when North Carolina families struggle to make ends meet,” said Searcy. “My family lost our home when I was in 7th Grade, and I began working to help support my family when I was fourteen. Too many families in North Carolina are facing the same challenges we did." "Sam Searcy grew up in the small town of Hendersonville, NC. His mother was a teacher’s assistant in public schools and his dad worked in the factories. Sam became the first person in his family to graduate from a four-year college. With the help of student loans and on-campus jobs, he put himself through Appalachian State University. Sam worked a few different jobs until the Great Recession hit. He, like many North Carolinians, found himself laid off. He took a job at Lowe's garden center to support his family. Eventually, he helped start two local companies which continue to employ people right here in North Carolina." 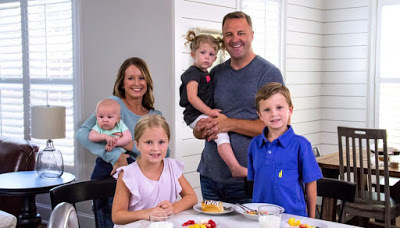 One of his campaign issues that should resonate with struggling North Carolinians: "Having worked in the healthcare industry and helped build a successful medical services company, I believe we can and should do more to lower costs. But, Republicans in Raleigh have put the health of thousands of North Carolinians at risk by refusing to expand access to Medicaid. I will work to ensure that every person in North Carolina has access to quality, affordable healthcare." In House District 37, Democrat Sydney Batch is outraising her Republican opponent for this open seat, $91,900 to $68,000. The former Republican incumbent in this district (which is pretty much entirely inside Sam Searcy's Senate District 17 in southern Wake -- see above) waited until near the end of candidate filing to decide not to run. Democrat Sydney Batch got written up on WataugaWatch way back on January 2nd, when she was among the first wave of new Democrats announcing their plans to run in 2018. She is a graduate of UNC-Chapel Hill, with both a master's degree in social work and a law degree. She and her husband J. Patrick Williams opened their own law firm in 2005. She has wide and intense experience in child welfare advocacy and family law. 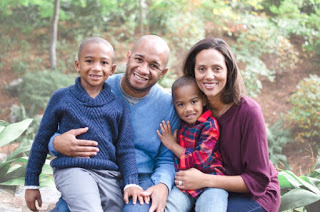 She says on her website, "I fight every day for families across Wake County who are worried about their future. Whether stressed about sending their kids to a good public school, paying back their student loans, or affording quality health care and finding a good, well-paying job, too many people feel the deck is stacked against them. Despite these struggles, I also get to see the many common values that bind us. People want affordable, accessible health care, quality and affordable education, safe air to breathe, clean water to drink, and a fair paycheck. Most of all, they want their children to live a more prosperous life than they have. I’m running because I want to make a difference for those people who feel stressed, and to work with them through our common shared values to make a better Wake county. There’s no doubt that the challenges facing us are great. However, so is our will. I humbly ask for your support.” Glad to see that Batch has been teaming up with the Sam Searcy campaign for direct voter contact in their overlapping districts.